You are not bothering anyone by reporting a bug. You are being a hero. When should you report something? In early 2013, the RPR reached an amazing milestone. One of our members broke 100 accolades! An accolade is a small award that is placed on the profile of members who help to improve the site in some way. Most commonly, that help takes the form of submitting a bug report that leads to something on the site being fixed or improved. I give out these awards because submitting bug reports is a truly heroic behavior. Although it might only take you a few minutes to do, it can benefit thousands of people. And I can't tell you how much it benefits me --I (Kim) am the sole programmer for a massively complex, constantly expanding, almost entirely written-from-scratch site. It's not humanly possible for me to be on top of everything all the time. Bugs happen, and I don't always know about them. 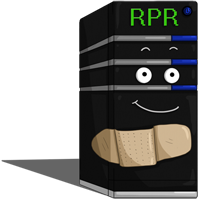 I depend on the willingness of you, the RPR community, to alert me when something goes wrong. But many people don't know how to submit a bug report, are nervous that they will do it wrong, don't think they're important, or are afraid to look silly by reporting something that isn't actually a bug or turns out to be user error. It can be quite daunting to open up the Bug Report Form, get ready to write your report and then wonder: how do I write this to let Kim know something's wrong? Am I bothering her? Is it really a bug worth investigating? As tempting as it is to close that window right there, please don't! Kim is constantly reassuring members it's okay to make a bug report, even if it turns out to be nothing. I'm going to reassure you as well: you will not bother her at all! In fact, by not reporting that bug, Server might get more sick. Kim will have to track down its sickness without your help and it might take longer and not get any results! That sounds like bundles of trouble, doesn't it? Reporting bugs gives Kim extra information on the things that are broken, or perhaps not quite working the way they should. With your report she'll be able to whisk Server away to the infirmary and fix it right back up, much faster and thoroughly than she could on her own! It's therefore important Kim knows when the Server sneezes or has the hiccups. In the navigation, find the Help menu, then click "Report A Problem" in the dropdown menu. You will be taken to the bug report form. And that’s it! Remember, the more information you add about what you were doing and what you saw helps to solve the issue much faster. Kim will fix any bugs that you find, so there’s no need to bat your pretty eyelashes and ask her to fix it. The report itself is all the encouragement she needs! I report everything that doesn’t seem right. Yep. Everything. I expect the site to look and behave in certain ways and if even the slightest thing seems off, I immediately use the bug report form to ask Kim “Is this supposed to happen like this?”. About 50% of all bug reports come back to me negative. Meaning, what I found is not actually a bug, but expected behavior! This is nothing to feel bad about, so don’t worry if this happens to you. Kim prefers to investigate and tell you “It’s fine, nothing’s wrong there” over having you not report anything at all when something’s up. When a topic I had subscribed to stopped being of interest to me, I used the link in the notification email to unsubscribe from it. It worked fine, but when I clicked the link saying “Go back” it didn’t take me anywhere! A quick report to Kim allowed her to fix this promptly. While using site search to find a group, I found it and wanted to check it out, only to be told it’s top secret! Top secret groups don’t sound like the kind of groups you’d want to show up in search results, so I immediately asked Kim if that was expected to happen. Turns out it didn’t, and top secret groups were rushed into witness protection programs right away. The forums are peculiar with backslashes. I noticed that for some reason, whenever I typed a backslash, that it would just vanish in my post. Curious, I submitted a report to Kim because I expected it to be a bug. Kim wrote back and told me it was supposed to happen. It’s part of the way code is dealt with, and to make one backslash appear you have to type it twice! results in -- bizarre, isn’t it? I noticed our “Recent Topics” list looked a little out of order. From my experience with forums, these lists usually show all recently posted posts or topics, but that’s not how this list works. After reporting it to Kim she explained to me it works exactly how she designed it to: the topics that were most recently replied to were listed at the top. Funky! To emphasize that it's okay if not everything you report is a bug, here’s a yummy chunk of trivia for you: by the time I hit 100 accolades, I had made 206 bug reports! Over half of them were dismissed. Staggering, isn’t it? If you retrace your steps and follow them again, does the same bug happen twice? Sometimes if your internet is slow or your browser is having a bad day, the information from the server gets messed up before it ends up on your computer. This can cause strange errors and bugs that only happen once and never again. Those are usually things Kim can’t fix because there isn’t an actual problem, and so there is no need to send in a report. Ask the chat if others have this problem too. If you’re unsure whether it’s a bug only you experience or others suffer from it too, drop by in the chat to ask people if they have the same issue. If others don’t experience it, but you can reproduce the bug, it’s definitely a good idea to submit a bug report all the same. Some issues only occur to some people. It might be your computer, but Kim would like to check that out anyway in case anyone else does have the same problem! The cache and cookies store data from websites so you can load pages faster and remain logged in to the site. They’re very useful, but can sometimes be the cause of your troubles! Desktops, laptops, netbooks, tablets and smartphones all have the option to clear the cache from their device’s browser. Remember how the data sometimes gets messed up before it reaches you? The cache remembers the messed up data instead of the proper data! When the cache is messed up, the site can suddenly look funny. Things are not in place or missing. If you clear the cache, your browser needs to download everything fresh from the server and sometimes this fixes display issues you’re having. Unsure how to clear your cache and delete your cookies? This guide should help you out! I’ve found tons of bugs by doing things I wasn’t supposed to. *cough* What happens if I befriend myself? Can I see the forums of this top secret group anyway if I click here? Hey, let me try all these links and see where they’re going! Be adventurous and go for it! Even if you do end up breaking something for real, it’s not a big issue. Just make sure to report it to Kim and she’ll slap a band-aid on Server and give it some juicy trivia. I promise it will feel better in no time at all! You may find when new features are implemented, Kim occasionally asks the community for help and ‘break the new features’. But who says you can only do this when new features are released? There are always bugs to be found. Every time something new gets added or something existing is fixed, there’s a potential for new bugs to pop up.They’re a never ending plague living in every programmer’s nightmares! It’s why we must arm ourselves and aid Kim and Server on their day to day quest to conquer the internet. We can never be cautious enough of this threat, so never fear the Bug Report Form! It is our friend and ally in our times of need. Cherish it. The contributions of Epic Members make it possible for the RP Repository to exist. If you enjoy the RP Repository, consider becoming an epic member.